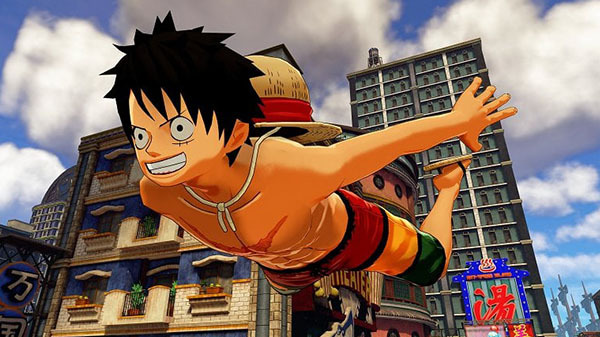 New tidbits on the open-world One Piece game. Sky Island: A “Sky Island” floats above the game’s setting of Jail Island. The two islands are seamlessly connected. If you were to fall from Sky Island, you would land on Jail Island. It should be noted that the Sky Island that appears in this game and the Sky Island that appeared in the One Piece original work are unrelated. Pirate Karma: By clearing missions that correspond to certain characters, your Pirate Karma will rise. When it reaches a certain amount, special missions will occur and new event scenes will appear. Treasure Maps: Search for treasure using maps that only have rough illustrations. Thanks, Ryokutya2089 and Games Talk.